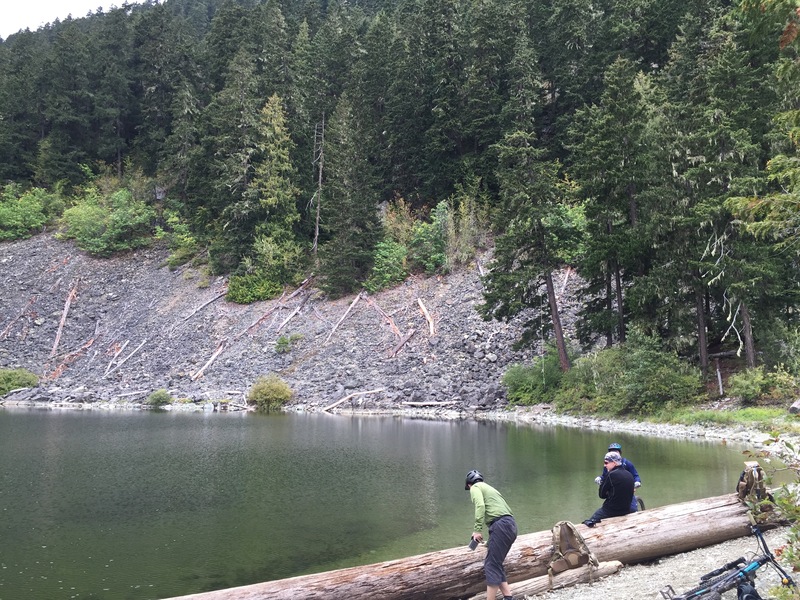 OneUp Components is a Canadian company based in Squamish that produces various mt. bike accessories. Previously probably more well known for their drivetrain parts to extend your gear range. 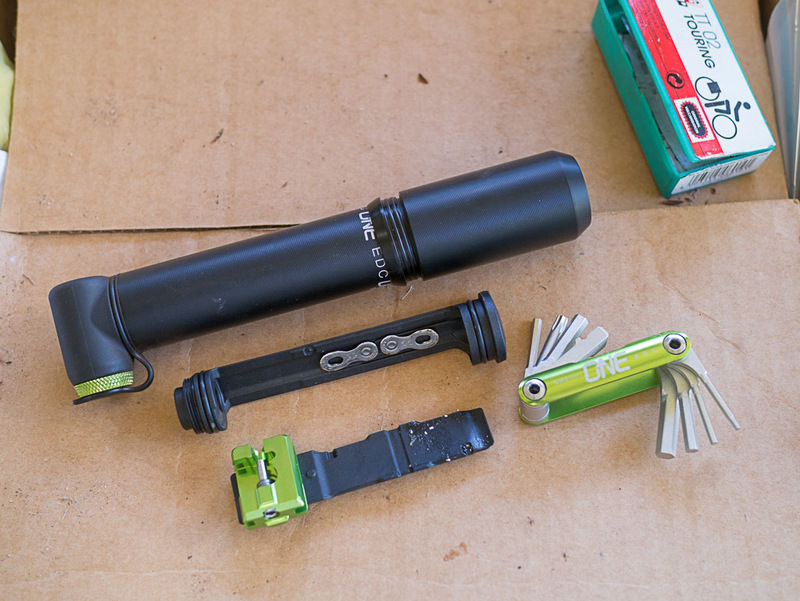 Their newest bit is this clever multi-tool that stashes either in your fork steerer tube or in their new mini-pumps. They managed to fit 2 through 6 and 8mm Allen wrenches, T25 Torx, tire lever, emergency chain breaker, quick link breaker, flat screwdriver, 4 sizes of spoke wrench, a spare chainring bolt, slot to store quick link, and cassette lock ring notch tool. Spec also lists presta valve core. Rode sunset solo today, arrived to find only two cars parked identifiable as MTBers. Weird, where is everyone on a beautiful sunday? 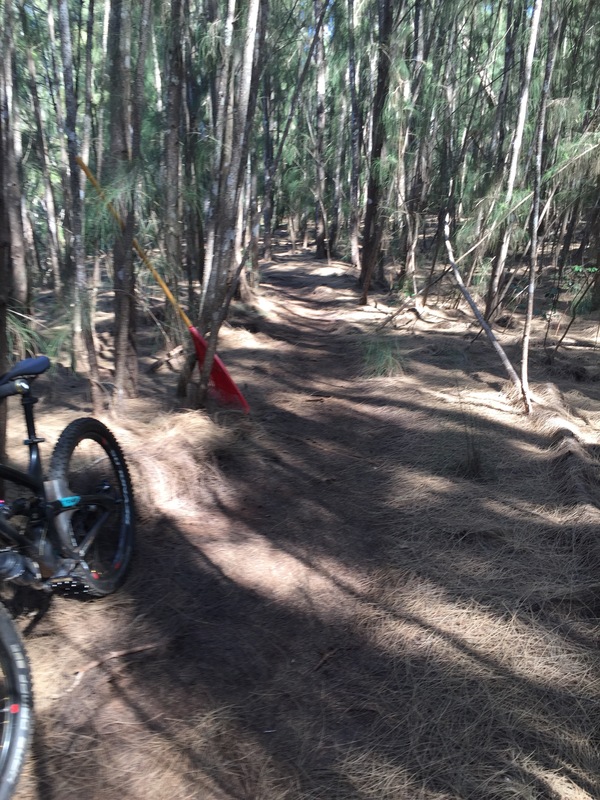 Trails were primo, Jungle the driest and nicest I’ve seen in a while. 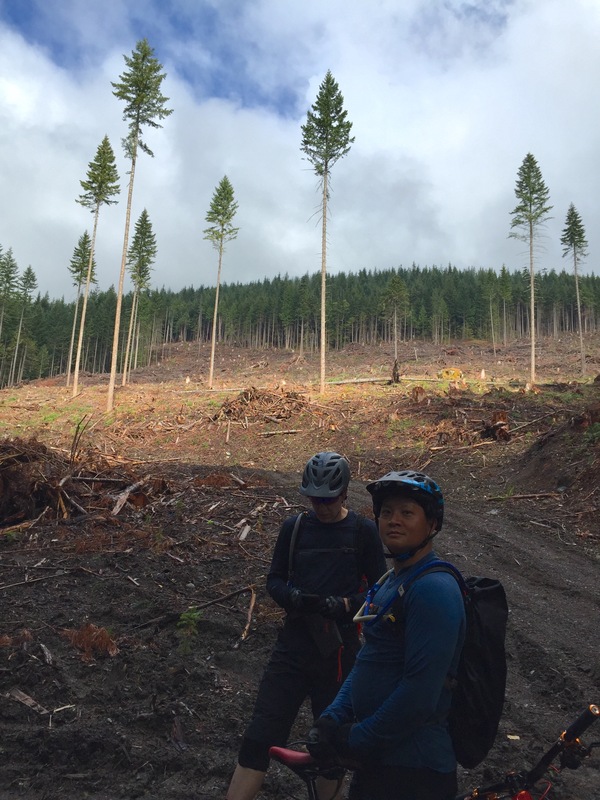 I recalled Chucky on our last ride commenting we should pitch in more on trail maintanance, he grabbed a rake and cleaned part of trail as Chris dealt with his snapped derailleur hanger. So as i rode up Needles trail, i stopped at the first rake i saw and cleared about 40 yards of trail. Its not much, but i figure if every riderat least once per ride did the same, it would add up. 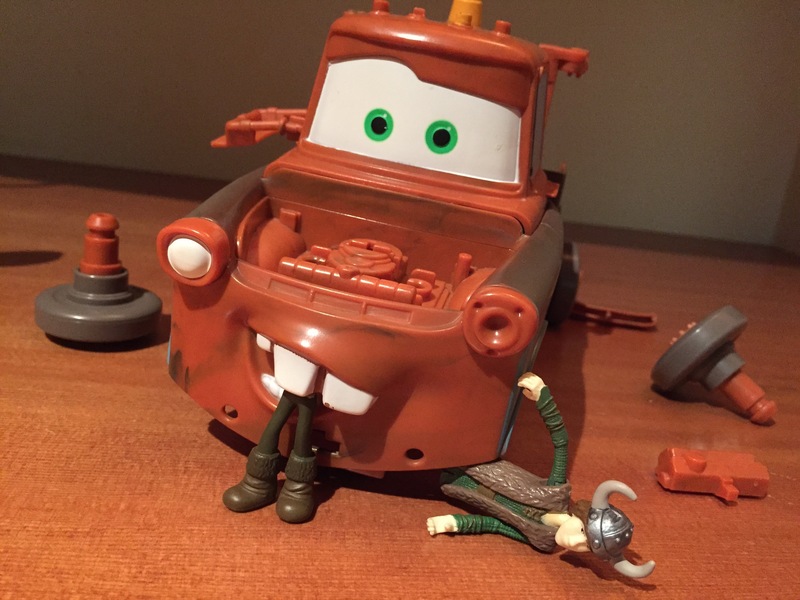 Figure good for some trail karma. Final day was a iffy weather day so we decided to stay in the Whistler area instead going down to Squamish like we wanted. Rode Deliniator, Sh!t happens, Big Kahuna and back. Weather turned out ok, overcast no rain. Trail pretty technical, a few rock slabs, fun but I was totally tapped on the way back and riding in survival mode. No amount of bars and energy gels was doing any good. Weather clearing today, overcast patches of blue sky, not actively raining. K-man is on the way, getting ready to go meet him in village. The plan was an easy Lost Lake warmup. We did Cut Yer Bars, which turned out to be pretty challenging, then came back Through Lost Lakes. Another wet day, spent morning cleaning drivetrain of the serious grit accumulated over the past two days. Rain eased in afternoon and we headed out to ride Rockwork Orange, Korova Milk Bar, Wizards Burial Ground. It’s preceded by a horrible gravel climb, but the trio of technical descents are worth it to us. A couple scuffs and scratches, but everyone survived intact. Ckuckey pulled off cleaning the double black diamond section on Wizard’s too! it seems like chainring spacers are some kind of mystical vintage part. 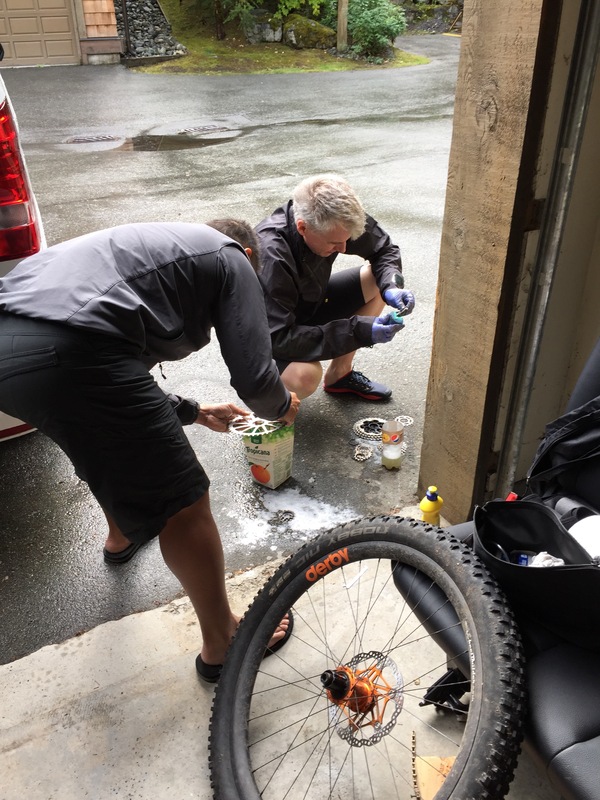 I’ve asked at almost every shop in whistler with a service department. Quite a few didn’t even know what it was and couldn’t comprehend what I wanted to do. Finally found some at Fanatyk Co but only ancient crusty mechanics know about these and they have poor eyesight or something. I asked for 3mm and he even used a ruler, he scrounged up 4mms. Delivered Akron to the airport. The rain was forecast to ease at noon so we spent the morning in Richmond and Vancouver visiting MEC (Canada version of REI) and Dunbar Cycles. We then headed back to Squamish and geared up. Headed up the creatively named Climb trail. It is however appropriate as it is a pretty good uphill slog. The goal was to hit Fred, Lower Powermouth, Plum Smuggler and Word of Mouth. With the rain it got chilly at times, humid and warm at others. The trails when we got to them were enjoyAble. Moderately high technical with root and rocks, but nothing too severe. Generally downhill but a fair bit of rolling up and downs. We made it out intact and in tired but good spirits. First portion of day spent taking care of Akron. Wrist fracture, his ride is over. He’s making arrangements to head home. Afternoon the other three of us gear up to ride Lost Lakes and Ckuckey breaks his saddle playing on some rocks at the condo. Nekkid-man and Root headed out for short ride. Beautiful weather. Hit Earl’s for an always excellent meal and finish with gelato at a new shop. Woke up once at 4AM, outside was raining and wet. Weather forecasts here are pretty spot on, Tuesday was forecast for a damp day. It was a lazy morning and we eventually made our way to the Village to browse and shop. Lunch was Gone Village Eatery for a second day in a row. The guys had never been to this soup and sandwhich shop tucked behind the bookstore before, good stuff.